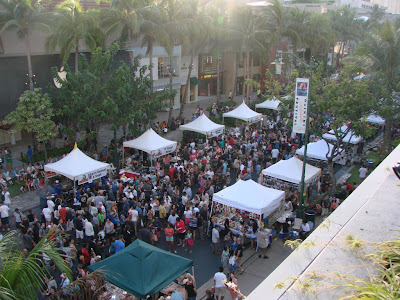 Here are just some of the estimated 30,000 people who hit the streets in Waikiki for the 10th annual Spam Jam. There were over 47 food items made with spam that were gobbled up. Among some of the more interesting ones an Ono Pop with brown sugar pine3apple sorbet with candied Spam and Organic Maraschino Cherries, Spam Okonomiyaki, Spam donuts, Spam Kanak Attack and much more. 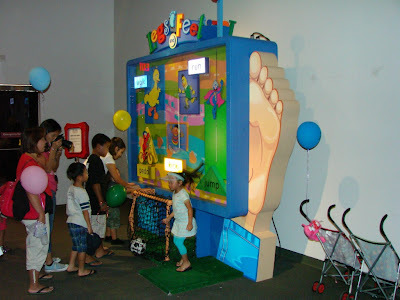 We end our series on “Sesame Street Presents: The Body” with the Leg & Feet display probably one of the most interactive displays where kids were just having a ball… or maybe just kicking a ball. The exhibit runs through July 30, 2012 and is included with the standard museum entrance fee. I high recommend you give it a visit especially if you had kids. Bishop Museum is open daily (except Tuesdays) 9am - 5pm. ALso April 28 is HECO day with free admission for Kama’aina and military. 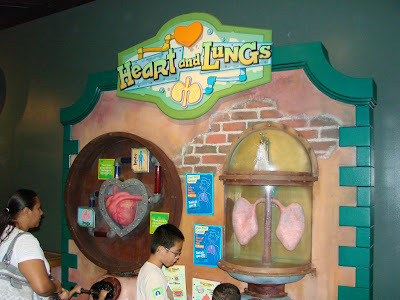 We continue our stroll through Bishop Museums Sesame Street Presents: The Body exhibit with a look at the heart and lungs. A place where you can learn how blood flows through the heart and even “pump” it to see, hear and even feel the heart beat. You can also “take a breath” and watch the lungs inflate and deflate blowing confetti into the dome overhead.